There have been a lot of doubts and confusion around Elon Musk’s claim that the first payload of SpaceX’s new Falcon Heavy will be his own original Tesla Roadster. But now it looks more real than ever as we get to see the first image of the electric vehicle being turned into a payload. Earlier this month, Musk announced on Twitter that he plans to send his Roadster to Mars as the first payload on the inaugural demo flight of the SpaceX Falcon Heavy. SpaceX is Musk’s other main company. It manufactures and launches rockets for commercial and military applications, but it is most known in the public for its plans to colonize Mars. SpaceX currently only operates the Falcon 9 rocket, which consists of a core first stage booster and a second stage. The new Falcon Heavy is equipped with two additional Falcon 9 first stages. The rocket is expected to become the most powerful in the world when it debuts next month. A lot of people thought that Musk was kidding about sending his Roadster and the fact that he messed with some media about it didn’t help. 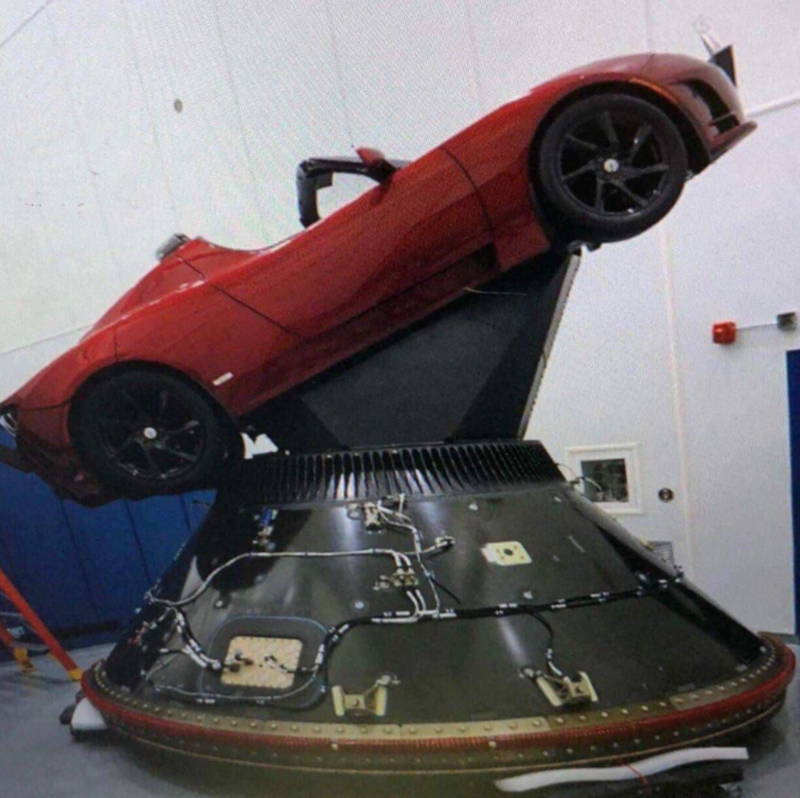 The image shows what appears to be a first generation Tesla Roadster (not the recently unveiled next gen) on a platform fitted on a SpaceX payload attach fitting. It looks like he is going to get exactly that. We have to keep in mind that it’s a demonstration flight for a new rocket. It’s why they are keeping it safe by not launching a very valuable payload, like a satellite. And it has some symbolism since the Roadster is considered by many EV enthusiasts as the vehicle that launched the EV revolution. Now one could exist almost forever in the vacuum of space while those on earth are lost one by one over time. Tesla only made just over 2,000 first generation Roadsters and many of them have already been lost due to damages or major technical issues. We learned that half a dozen Roadsters were lost in a fire earlier this year. Solar and energy storage prices are highly dependent on your market (electricity cost, gov incentives, etc.) and your property. We suggest getting quotes from more than one installer to make sure you get the best energy solution for your place. UnderstandSolar is a great free service to link you to top-rated solar installers in your region for personalized solar estimates for free.